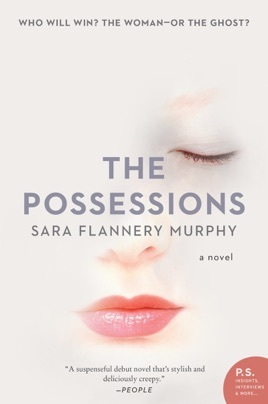 Behind the reassuringly bland facade of the Elysian Society, dramatic, distressing, and sometimes dangerous scenes play out daily as the bereaved seek to communicate with their departed loved ones, in Murphy's suspenseful supernatural-tinged debut, set on the gritty side of an unnamed U.S. city. The bridges between the living and the dead are people referred to as bodies, such as the young woman known as Eurydice (aka Edie), who after ingesting pills called lotuses can summon these spirits. The work perfectly suits emotionally guarded Edie, who apparently wants nothing more than to lose herself after a traumatic past, which only gradually emerges. But her carefully maintained shell starts to crack when she begins sessions with Patrick Braddock, an attractive lawyer, whose stunning wife, Sylvia, drowned 18 months earlier under suspicious circumstances. As Edie finds herself sexually drawn to Patrick and experiencing disturbing flashbacks, which seem to come from Sylvia, her efforts to investigate what happened that night at a lake outside the city and its potential connection to a recently discovered Jane Doe land her in very real jeopardy. Those ready to buy into the author's premise will be rewarded by a beautifully rendered, haunting page-turner. I found this book to be pretty darn riveting. The subject matter is one to noodle on - so many questions and possibilities play over in my head. I recommend this book and hope to see another by this author soon!